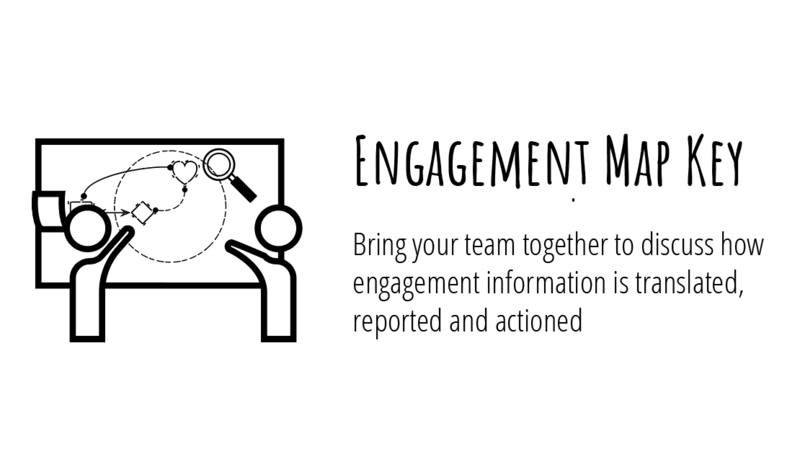 Through Rigorous Stories workshops, we found that bringing together people to discuss how they translate evidence from engagement and report it to different levels of the organisation helped the people involved understand the importance of their work and how it influences decisions. It also drew attention to the importance of making sure the people who originally engaged are kept informed about the effect their ideas and feedback have on services. This tool consists of a key to prompt teams consisting of members of staff from different levels in the organisation to come together to discuss and draw out their process for translating using the symbols suggested, and to develop their own symbols to use and share with others.